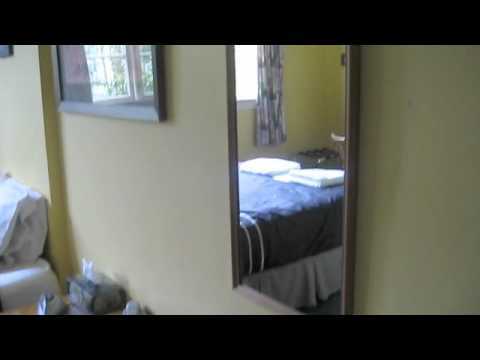 Hi Alice here, this post will introduce the Art Deco Room. 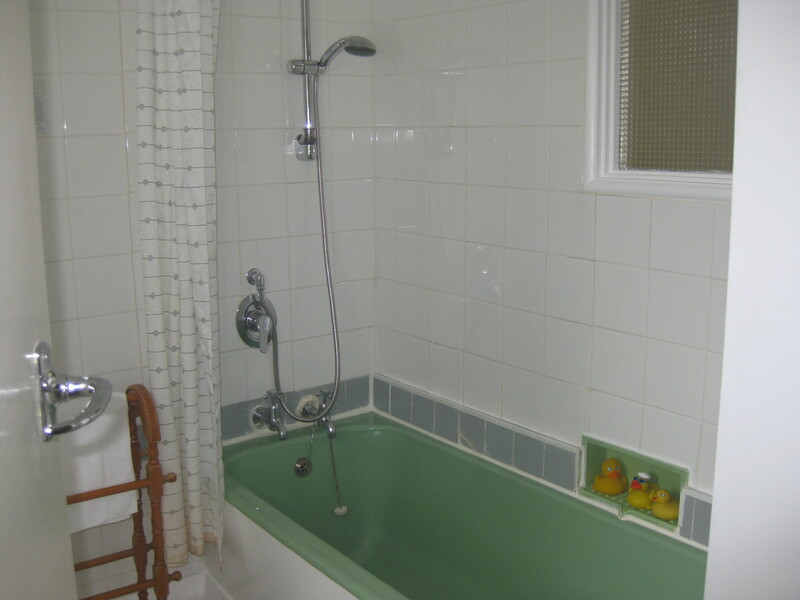 The Art Deco room has its own private ensuite with an Art Deco theme. 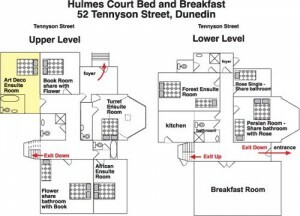 It is a comfortable room on the top level of Hulmes Court. It is a quiet room which gets the morning sun. It has beautiful art work and few quirky bits and pieces within the room such as an old radio. 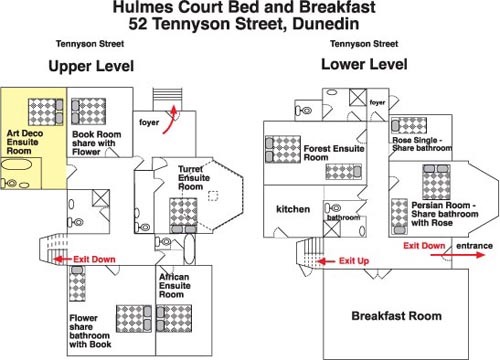 Plan showing the location of the Art Deco Ensuite Room at Hulmes Court Bed and Breakfast. 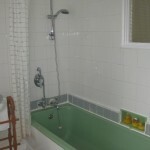 - Private sunny bathroom with views, bath, shower, and toilet. - Art Deco interior design. - TV, Video and telephone. Smaller study table. 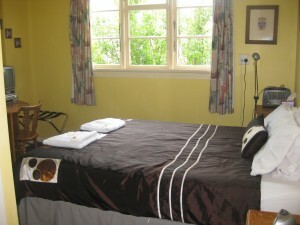 - Tariff – $140.00 per night including breakfast, which is continental.